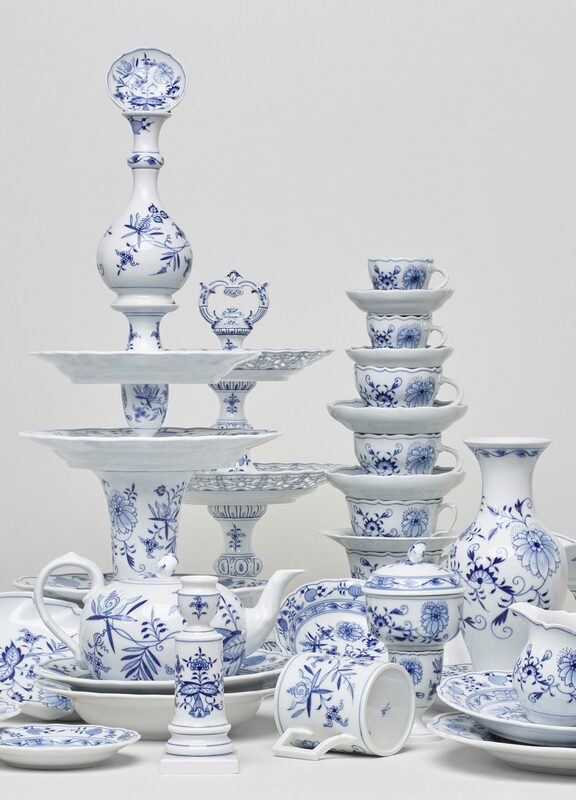 As artistic director of the Meissen porcelain manufactory, the trained sculptor Johann Joachim Kaendler created the first formal European design language for porcelain from 1731, exerting a lasting influence on European table culture. 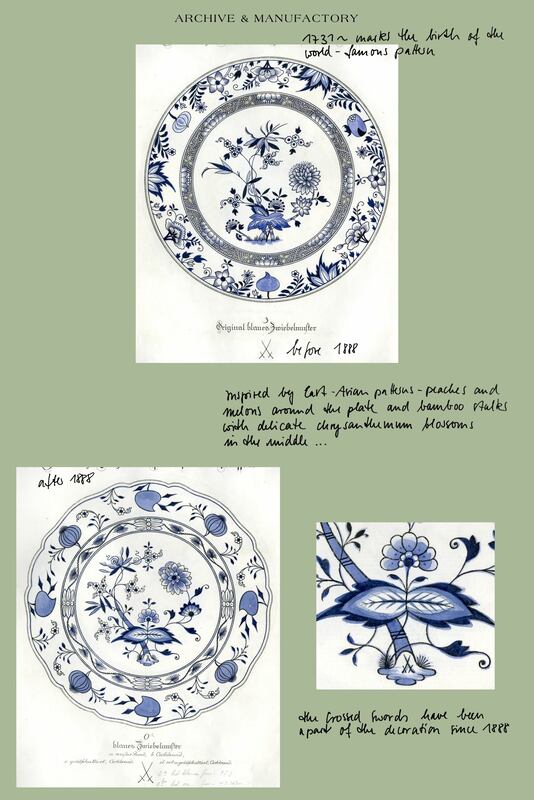 It is the most successful blue painted pattern in the history of porcelain: in 1739, the radiant blue “Onion Pattern” was developed based on East Asian influences. True to original, the “onions” in the pattern are not in fact onions, but rather peaches and melons on the rim of the plate, and bamboo stalks and delicate chrysanthemum blossoms adorning the centre. In lieu of exotic fruits and flowers to use as templates for their creations, Meissen’s 18th-century artisans’ stylized renditions soon gave rise to their misconception as onions. 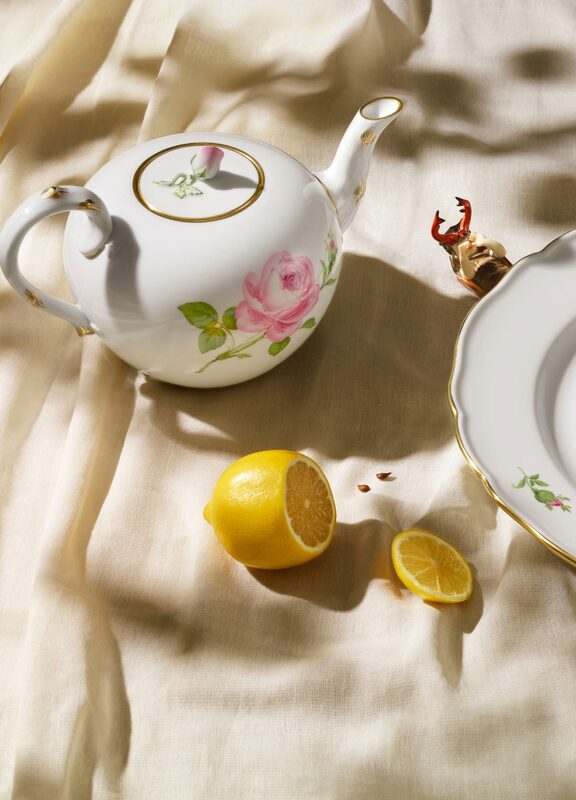 To this day, Meissen’s “Onion Pattern” is applied to the porcelain by specially trained under-glaze painters. 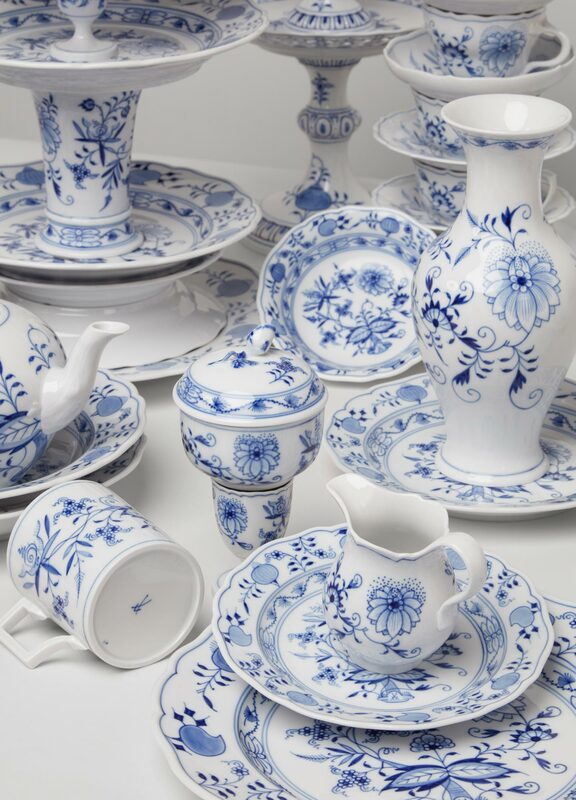 The manufactory’s own cobalt blue is the only paint used for the creation of all Meissen blue porcelain, just as it was 300 years ago. The different shades of blue are all realised with a single colour of paint. 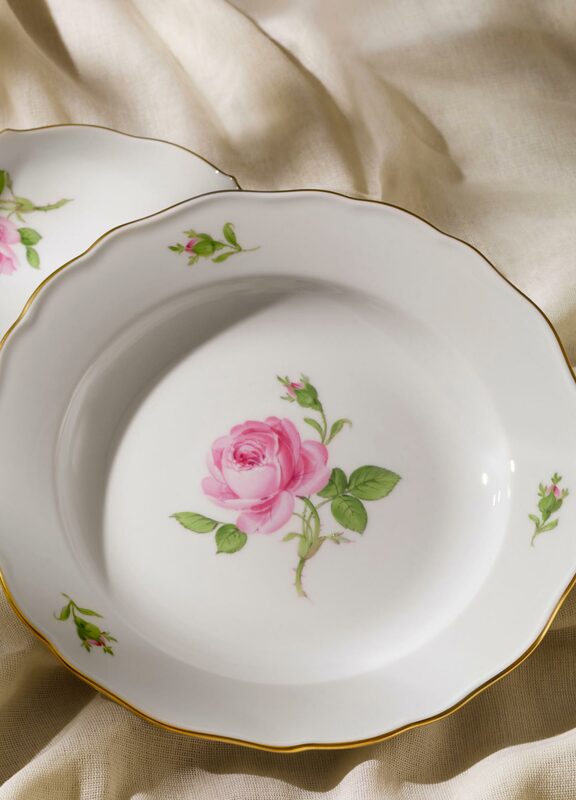 Pink and white roses with purple centres gracefully intertwined on Meissen porcelain. 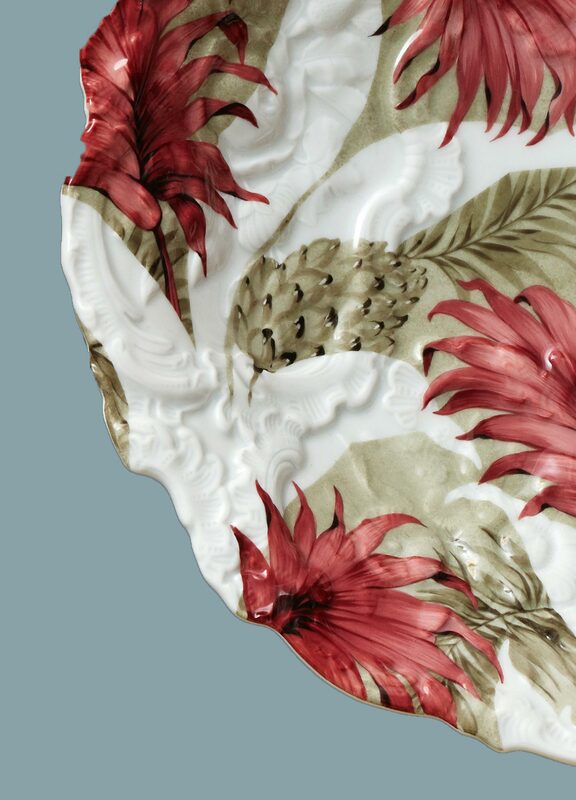 As its own genre, floral painting on porcelain has a long tradition at the Meissen manufactory that has grown continually throughout the ages and continues on to this day. Much like other decorative motifs, the depiction of blossoming plants on porcelain dates back to the manufactory’s earliest artistic development, which was heavily influenced by East Asian porcelain art. Magnificent naturalistic botanical illustrations would later serve as templates for the flowers depicted on the earliest examples of European porcelain. 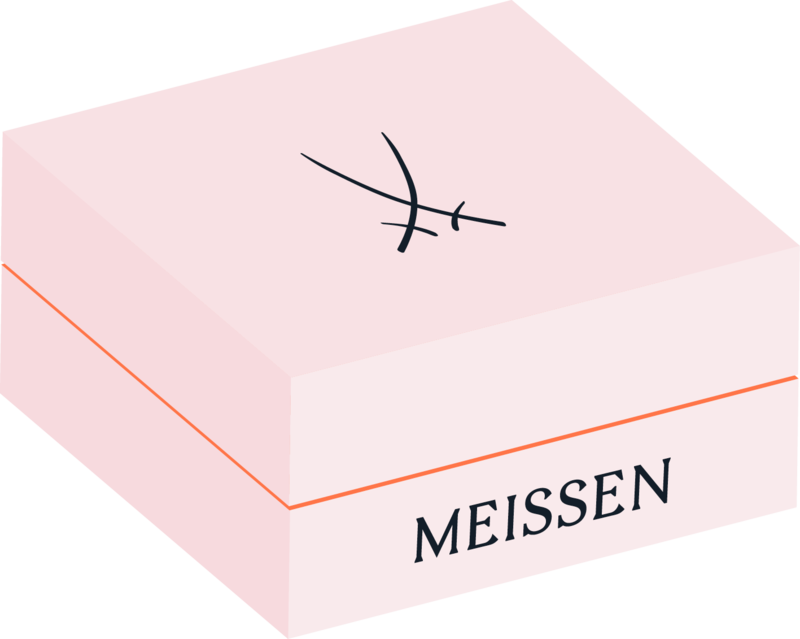 The “MEISSEN Rose” first blossomed in the Biedermeier era, its style highly reminiscent of the evocative still life paintings by Georg Friedrich Kersting, who was a drawing teacher and the head of flower painting at that time. 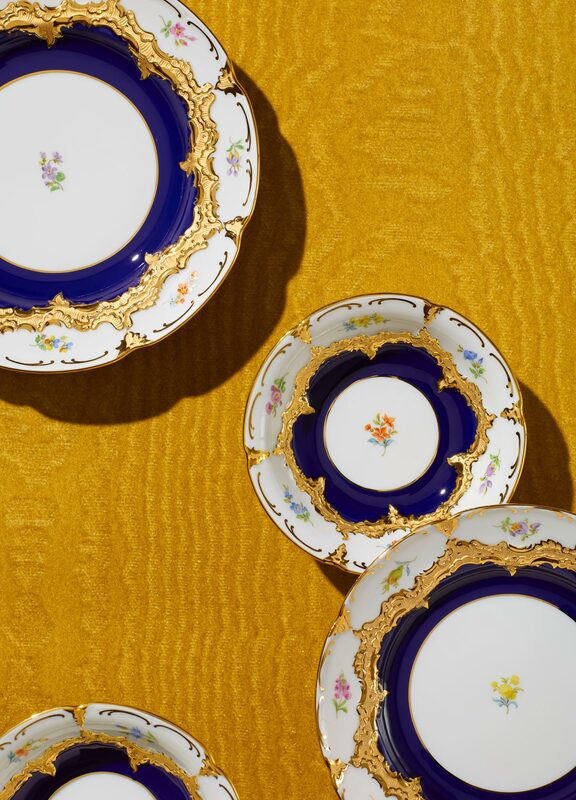 A series of 19th-century decorative objects awakes from the archive, lavishly embellished with a contemporary rim-to-rim floral décor.